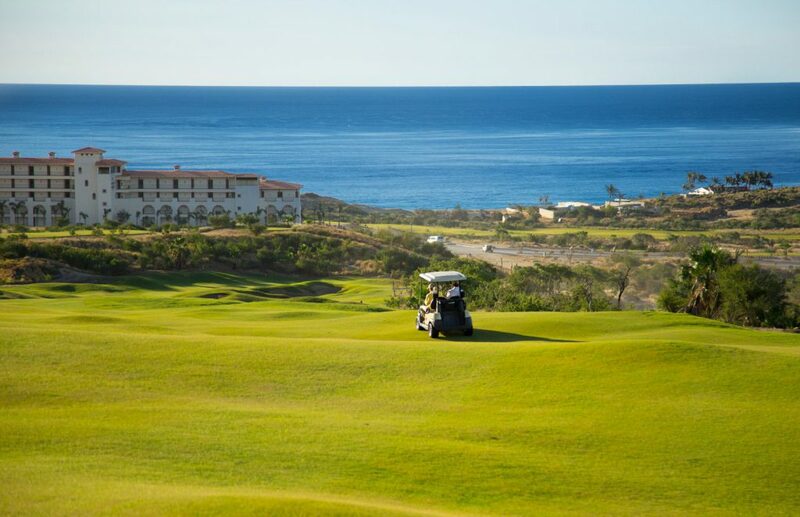 Perhaps one of the most breathtaking courses in Cabo, the Jack Nicklaus Signature Quivira Golf Club is open only to members and guests of Pueblo Bonito. 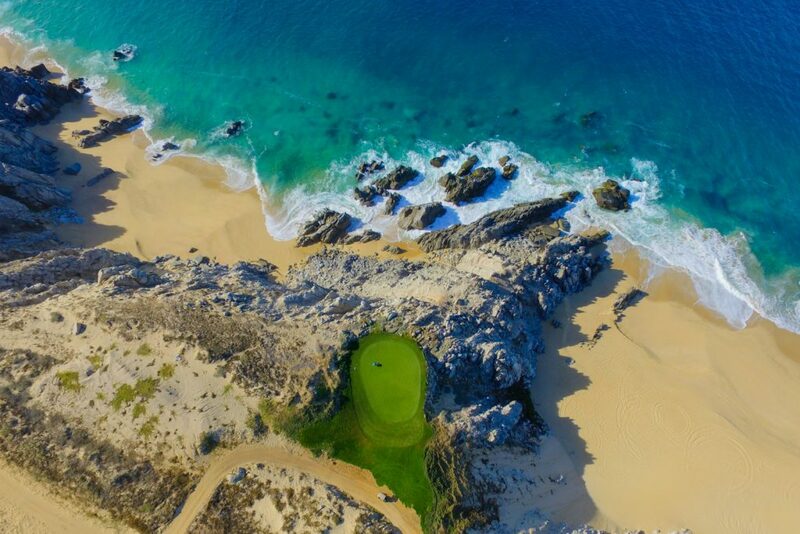 The stunning course boasts more oceanfront exposure than any other course in Los Cabos and has the fewest number of formal bunkers (roughly 40) of any of the courses Jack Nicklaus has built. The layout includes dramatic cliffs, dunes and rolling foothills and two lighthouses, one of which—Faro Viejo—is the oldest standing structure in Los Cabos. Don’t miss the comfort stations along the course serving made-to-order Mexican specialties, tequilas and cervezas. Tee up along the Pacific Ocean at Diamante, a 1,500-acre private resort that’s home to Tiger Woods’ first golf course design El Cardonal. Opened in 2014, the strategic championship course is styled after the courses of Southern California and is playable for all skill levels. The internationally ranked Dunes Course by Davis Love III was Diamante’s first course to debut in 2009 and is currently ranked the No. 36 course in the world by Golf Magazine and is the highest ranked course in Latin America. The Dunes Course also has a 14-acre practice facility, clubhouse restaurants and bars, a retail center and on-course comfort stations. 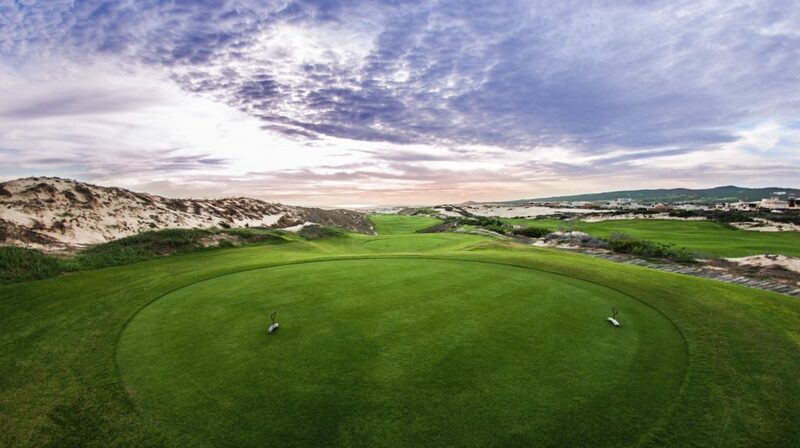 The third course is the 12-hole par-three Oasis Short Course designed by Tiger Woods. Fun for beginners yet challenging for skilled players, the course weaves its way through more than 400 palm trees and over an eight-acre lake. Debuted in 1999, the 7,322-yard 18-hole Jack Nicklaus-designed course is located inside the private residential community El Dorado Golf & Beach Club. Highlighted by Discovery Land Company’s iconic comfort stations, the course takes players through an eye-catching landscape of sandy dunes, desert foothills and ocean views. The course is made up of six oceanfront holes and 12 holes carved into two different canyons. In addition, four lakes are scattered throughout the course, incorporating six different holes into play. With 36 holes of world-class golf, Cabo del Sol is a spectacular property that descends from gently rolling desert foothills to two miles of dramatic coastline on the Sea of Cortez. 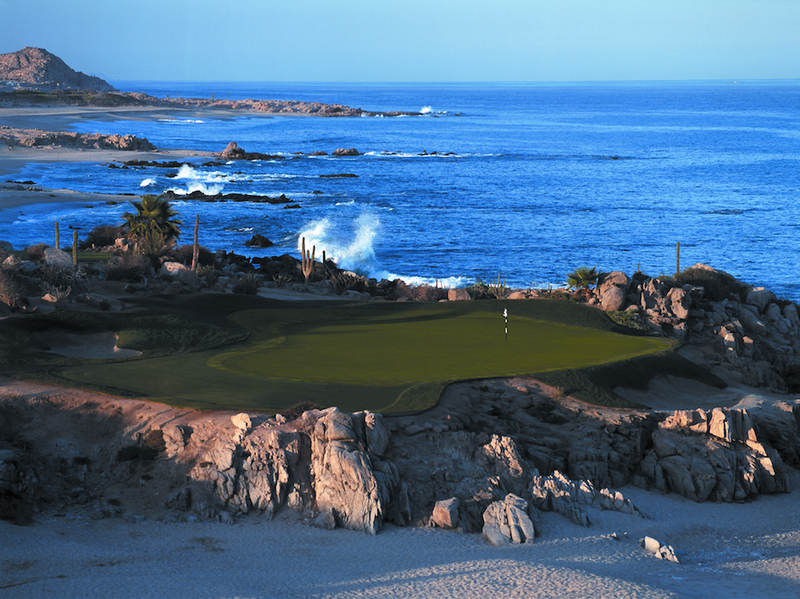 The Ocean Course at Cabo del Sol is often described as the ‘Pebble Beach of the Baja,’ with several holes touching a coastline marked by granite outcrops and golden beaches. 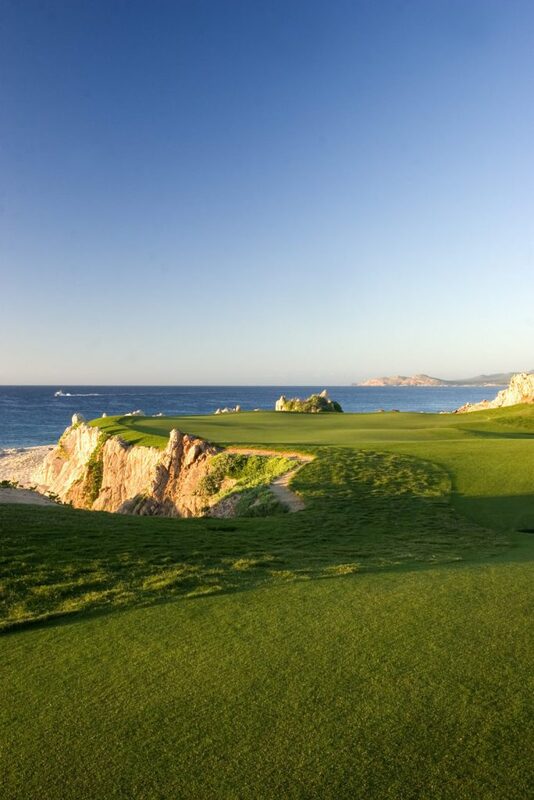 Renowned for his masterful creations in desert environments, Tom Weiskopf built the Desert Course at Cabo del Sol high above the Ocean Course, with each hole offering panoramic views of the sea. 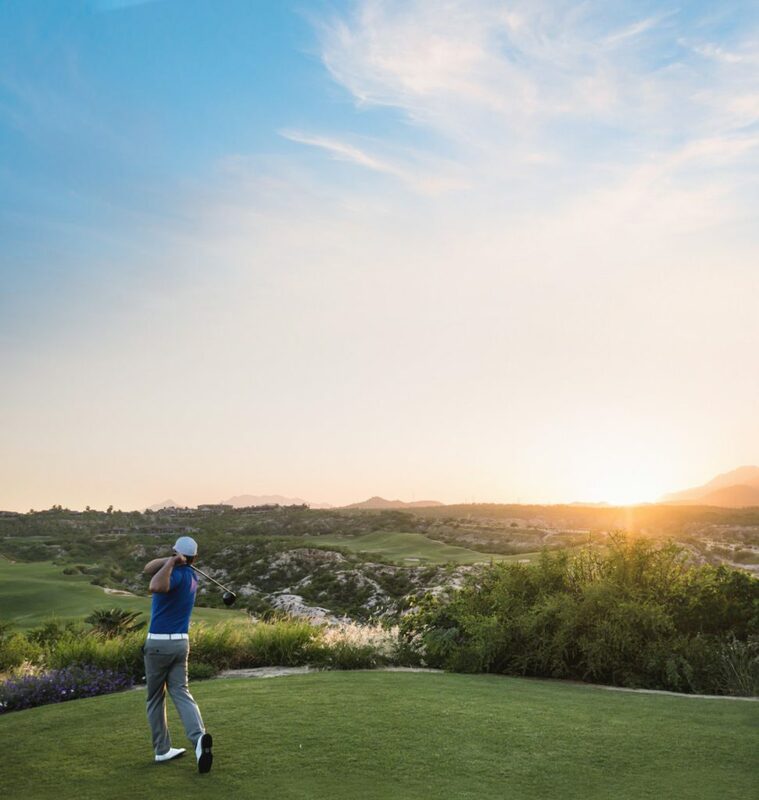 Puerto Los Cabos features 27 holes of golf across three distinct courses — The Norman Course, The Nicklaus I Course, The Nicklaus II Course — with championship layouts from some of golf’s most esteemed designers, Jack Nicklaus and Greg Norman. Most recently, The Nicklaus II Course debuted a new nine holes in April 2018 with a stunning showcase of dramatic views on holes 6 through 9. The new nine holes emulate the original Nicklaus 1 Course design and round out three unique 18-hole combinations for players. Three comfort stations with culinary palapas, bartenders and chefs complete the experience. 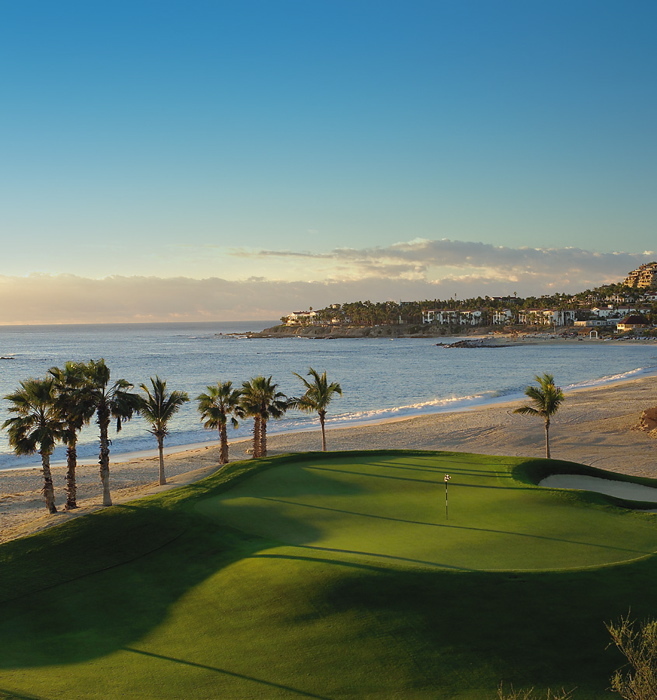 Designed by Tom Fazio, the course at Discovery Land Company’s Chileno Bay Golf & Beach Club offers ocean views from all 18 holes. Challenging yet playable, the 7,260-yard course is framed by sandy arroyos and features seven sets of tees. In between tee shots, snack on Kobe beef sliders and homemade tamales at the course’s two comfort stations. The course is open only to members of Chileno Bay Golf & Beach Club and a limited number of resort guests. 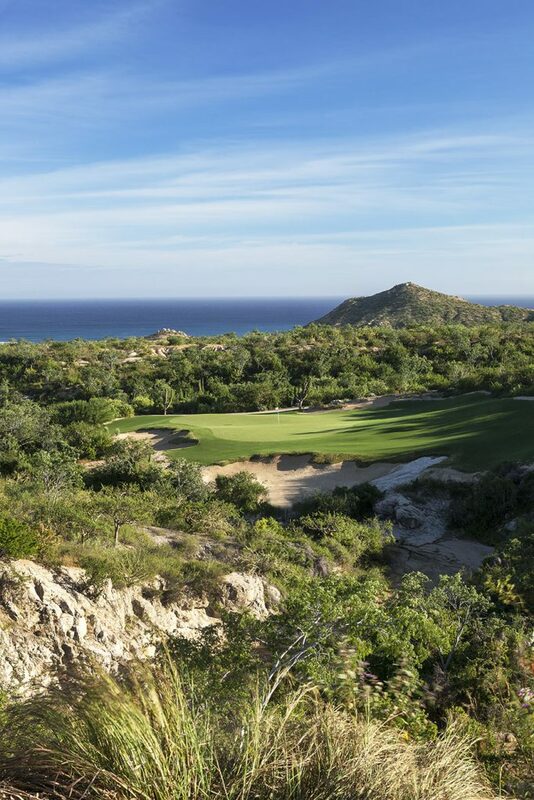 Spanning more than 300 acres of emerald green landscape, the 18-hole Tom Fazio-designed Querencia was the first project in Mexico for the architect and is highlighted by deep arroyos, arid plateaus, contoured fairways and uniquely-shaped bunkers. Additional amenities include a 12-acre practice facility more than 400 yards in length, dual practice tees, 11 target greens, a short game practice area and an amazing clubhouse facility. Located within the new Twin Dolphin master-planned residential community, this is the first Fred Couples Signature Course in Mexico. The recently opened par-72 7,156-yard course has desert and ocean views from every hole plus it’s incorporated sustainable features into its design. Additional amenities include practice areas that have individual hitting stations with Trackman technology, dedicated caddies, a full-service clubhouse, a full practice range and more. Twin Dolphin Golf Club is open to homeowners in the community and resort guests at Montage Los Cabos will have limited access to the course.